Between food allergies, preferences and conflicting tastes; coming up with a tasty holiday menu that will satisfy all your guests can be a daunting task. Luckily, there’s one humble ingredient everyone seems to agree on: POTATOES. There is so much you can do with a good spud. And what makes a good spud an even better spud? CHEESE! 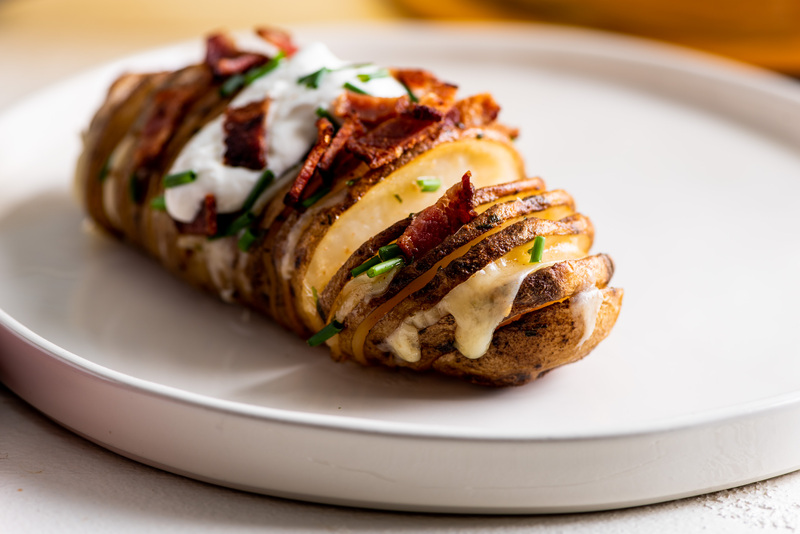 Easy Loaded Hasselback Potatoes: A potato chip + baked potato hybrid, these crispy Hasselback potatoes are as easy as it gets. Simply slice up your potatoes, brush with butter, and pop in the oven. For the last five minutes, add Grand Cru for melty, cheesy goodness, then top with green onions, bacon, sour cream and ENJOY. Cheesy Skillet Potatoes: The more cheese, the merrier! 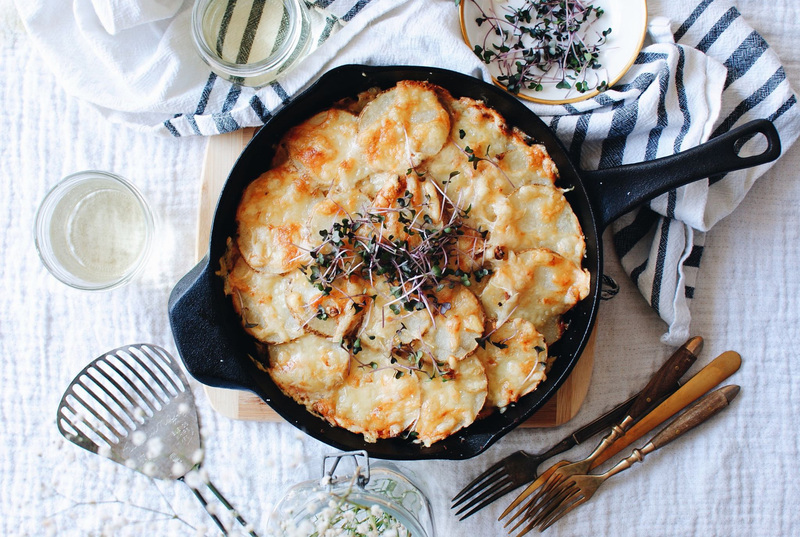 There’s a double dose of cheese melted into these layered skillet potatoes. Robust Grand Cru and our extra creamy Havarti give these spuds that extra flair. Cheesy Mashed Potatoes: A downright classic, mashed potatoes may just be THE ultimate comfort food. 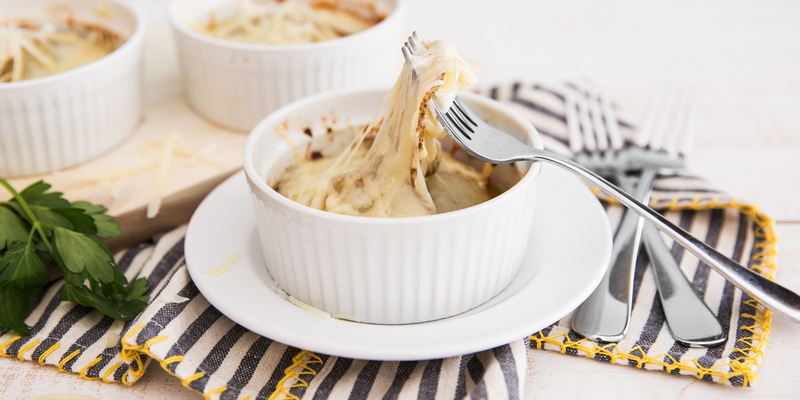 Try our extra cheesy version with smooth and creamy Fontina and nutty Grand Cru. 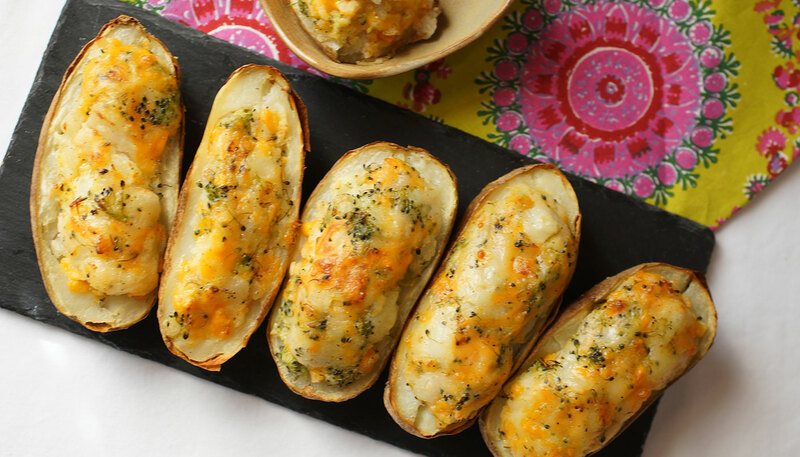 Twice Baked Potatoes: Bake em’ twice, they’re double as nice! Twice-baked potatoes are a dish the whole family can pitch in on. Kids can scoop out the centers and fill with Prairie Sunset, broccoli and hot sauce (optional). This can be a fun, interactive dinner for the kids while lightening the load for you! 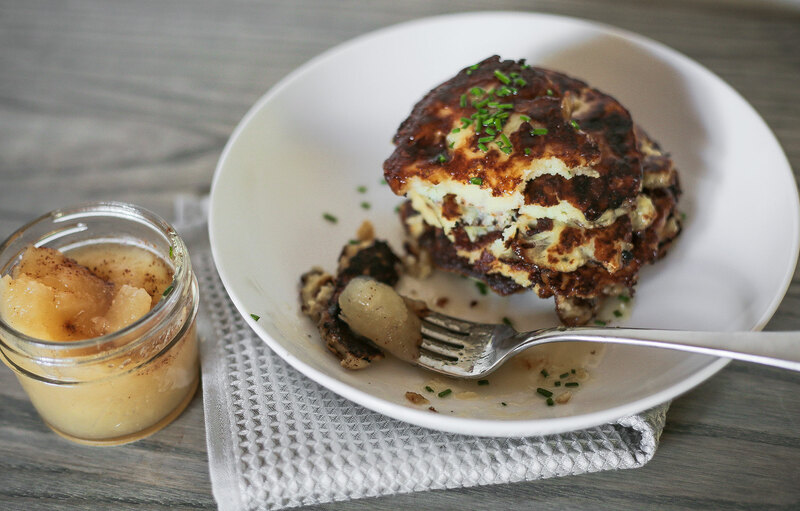 Mashed Potato Latkes: A take on your grandma’s traditional shredded potato latkes. 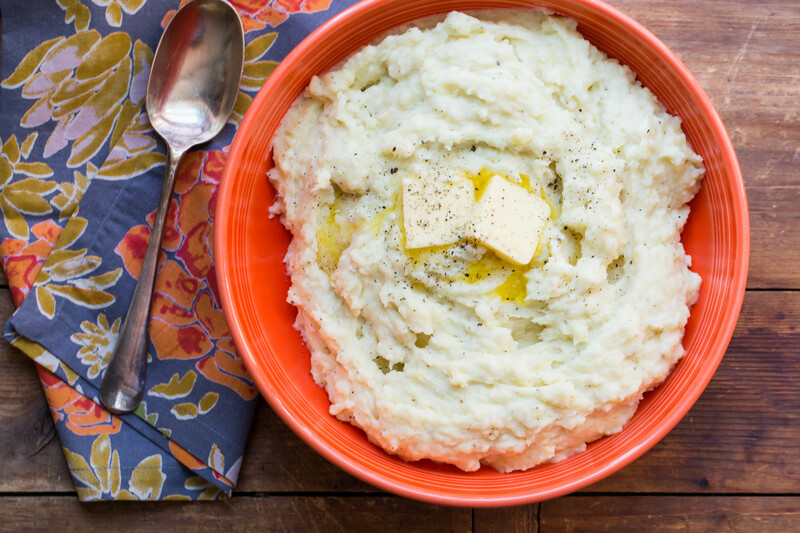 Grab the applesauce and be warned: these Grand Cru-laden mashed potato rendition could give grandma’s classic a run for her money. Swiss Ana Potatoes: Want a side of potatoes with your cheese? 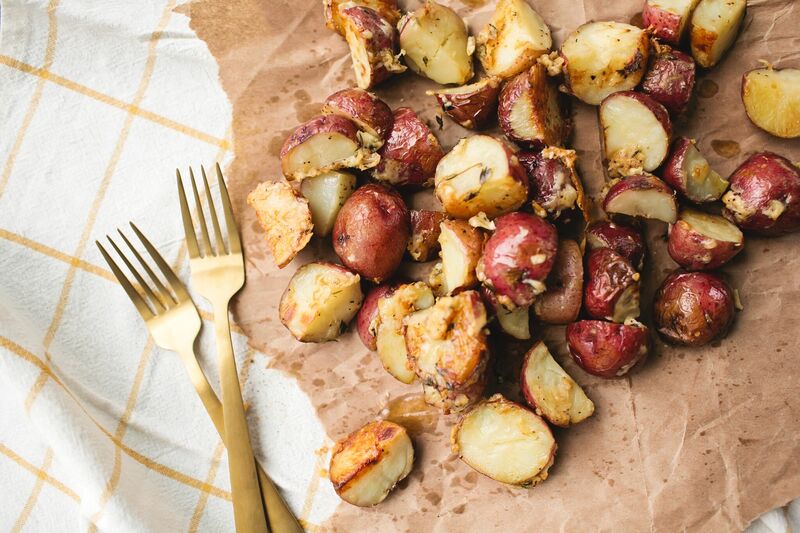 These thinly-sliced taters have been doused with mellow, nutty Grand Cru and that’s not a bad thing. Little ramekins make these single-sized portions perfect to serve guests over Christmas. Roasted Potatoes With GranQueso: Simple and satisfying, this recipe goes with just about anything. Quarter your potatoes, toss with GranQueso and roast for 45 minutes until golden and crispy. See here for more recipes you can use all year long!